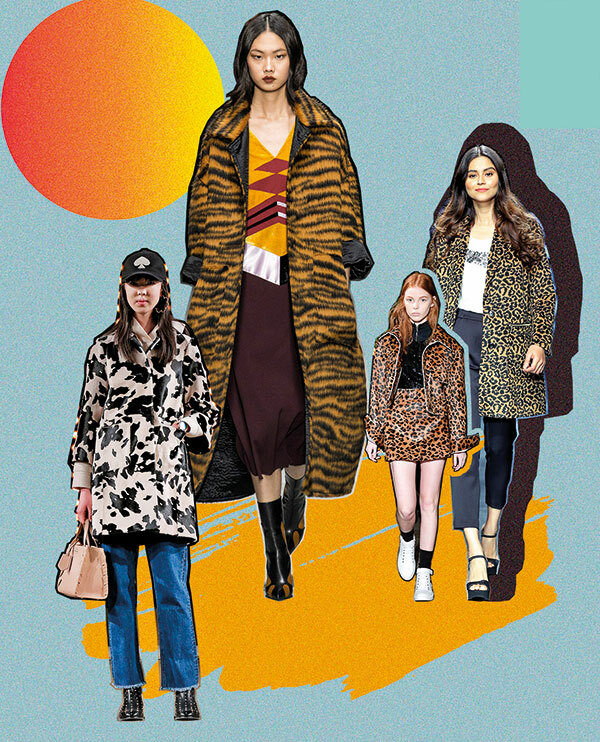 The runway showcased lavish winter staples from the ’60s, lustrous metallics from the ’70s, statuesque turtlenecks from the ’80s and lush animal prints from the ’90s, all gloriously representing the major fashion movements that have endured the test of time, and how. 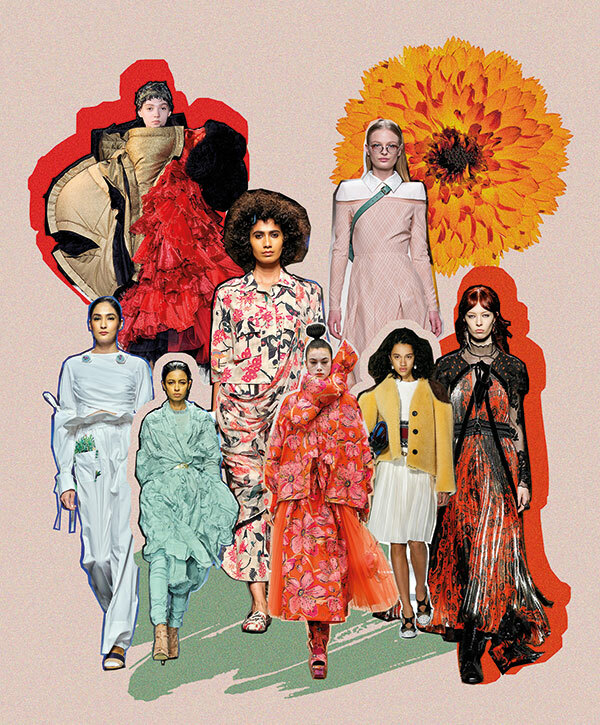 Femininity takes on a new and innovative overtone, relying on exaggerated ruffles and drapes rather than slick silhouettes. While black, pine green and white are usually the go-to shades this time of the year, you could also opt for pale pastels — a summer favourite — that are enjoying an uncommonly long spell under the sun. The accessories add to the fun with boots and oversized bags turning heads wherever you go. Play it up, girls! 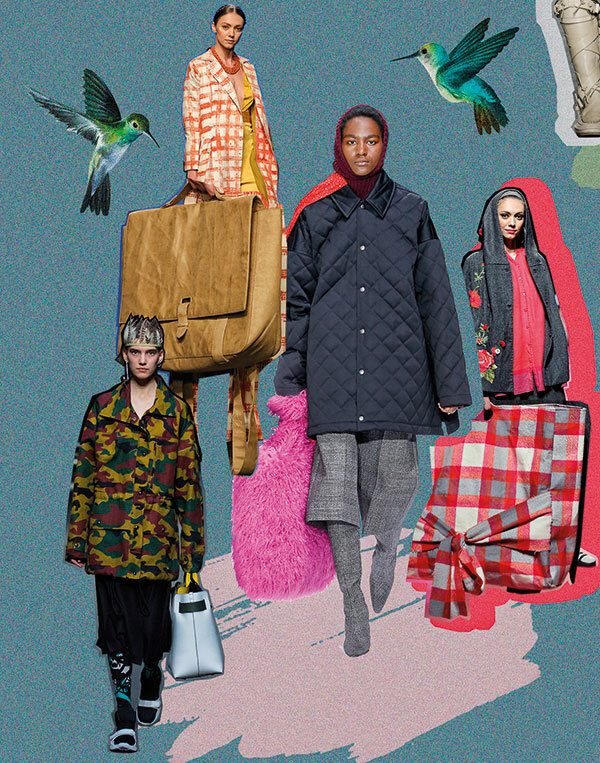 Layer yourself with eclectic winter separates to combat the chilly winds of the season. 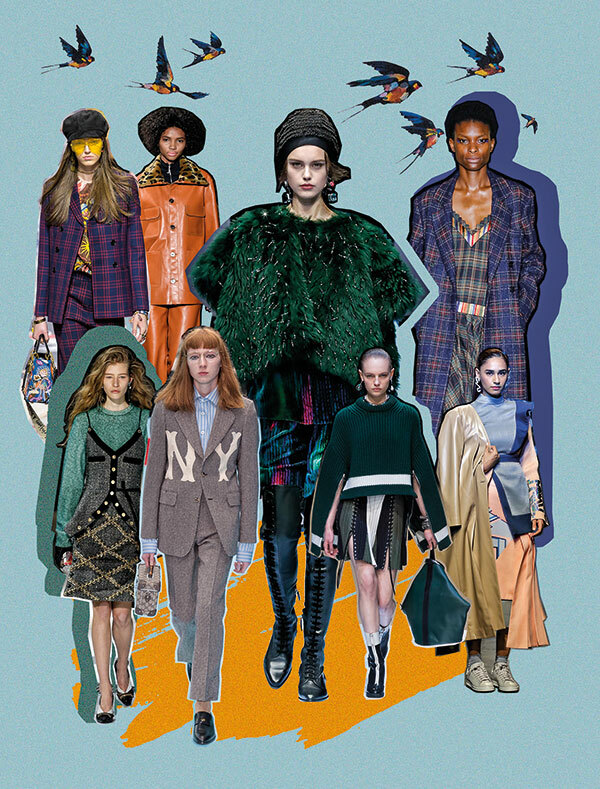 Lush fur capes, bold graphic knitwear, playful plaid jackets, head-to-toe leather ensembles and tailored tweeds are some of the accoutrements that will keep you snug and stylish through the cold. That tassels add fluidity to one’s strut is no secret. 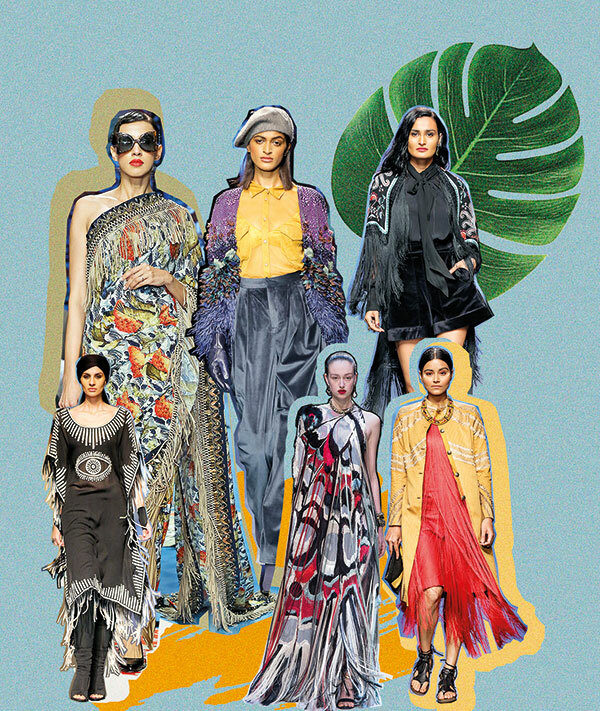 This season saw a variety of iterations by designers who reintroduced them; from contemporising saris and kaftans to reclaiming jackets and dresses, fringe fashion is back! Animal prints tread a fine line between flashy and plush. You could go for the cute cow spots or the audacious leopard or cheetah prints if you want to spell power. Wear these in your bathrobe coats or twin sets if you want to steal the show. You don’t have to be in Africa to be close to wildlife. 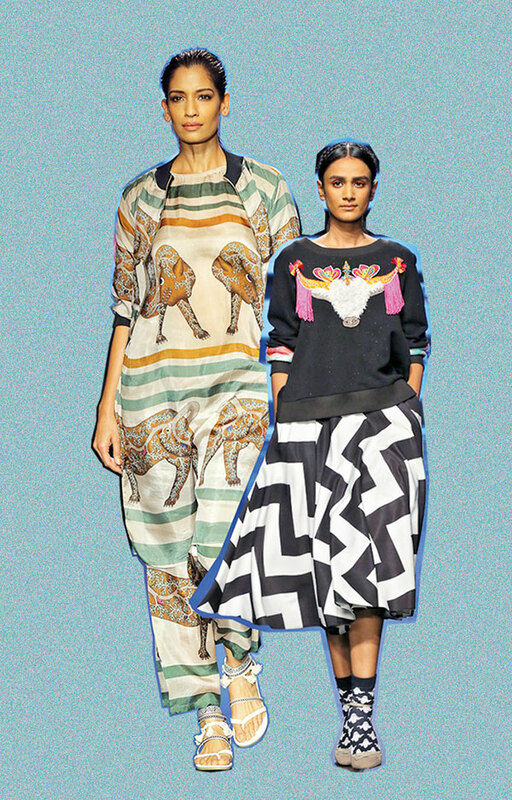 Bold animal graphics are all the rage, be it in the form of abstract or embellished chest prints or quirky renderings placed artistically. There’s never been a more important time to celebrate one’s femininity than now albeit with a twist. 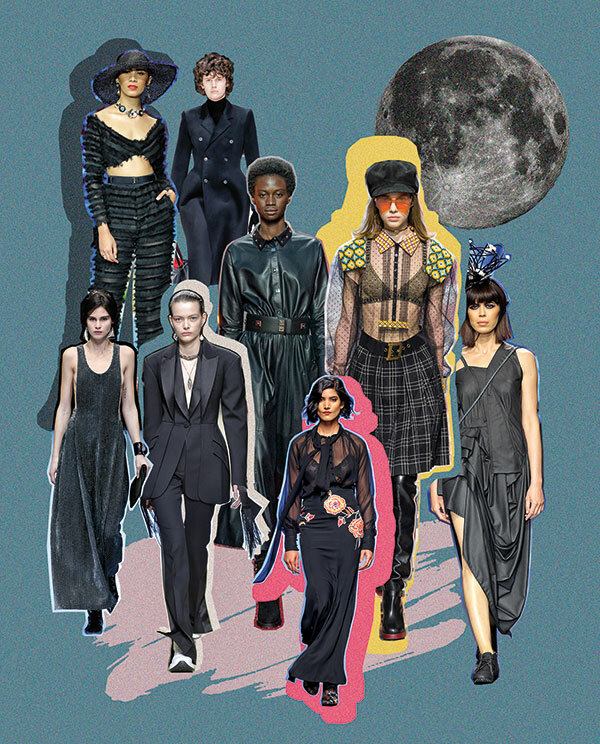 Runways were dominated by all kinds of details which spoke volumes of contemporary femininity. The idea is to celebrate individuality and style while breaking stereotypes. 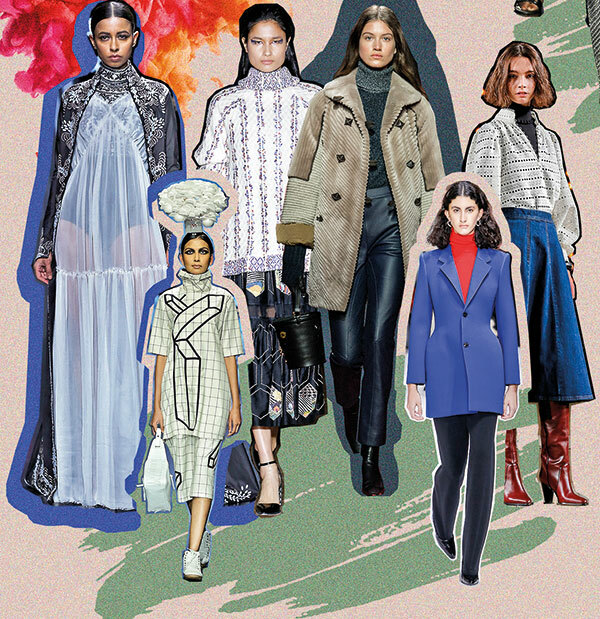 Think pleated-but-bold gowns, floral prints infused in military-inspired overalls or oversized coats in soft pastels. The metallic trend found a spot in our wardrobes almost instantly. 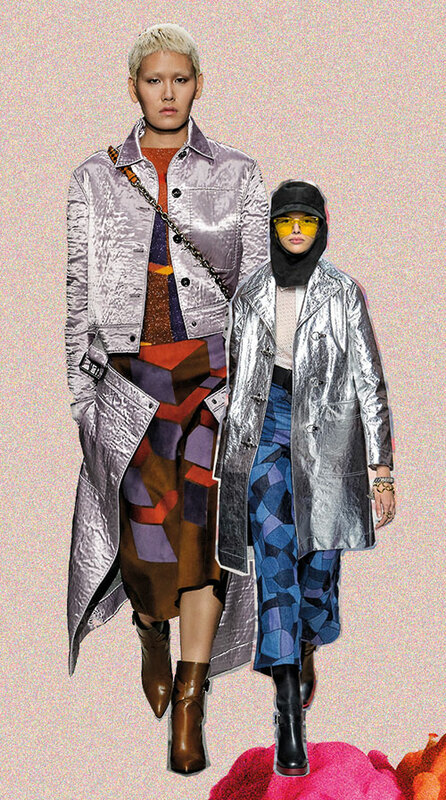 Dazzling joggers, lurex jumpsuits, sequinned street wear or daytime separates with a hint of foil prints, one thing’s for sure — shimmer is for everyone! Transform yourself into a luminous fashionista with a touch of silver. Perk up your simplest outfit with a deconstructed silver jacket or even mix and match a bunch of metallic shades. A little sparkle always makes you feel like a winner. 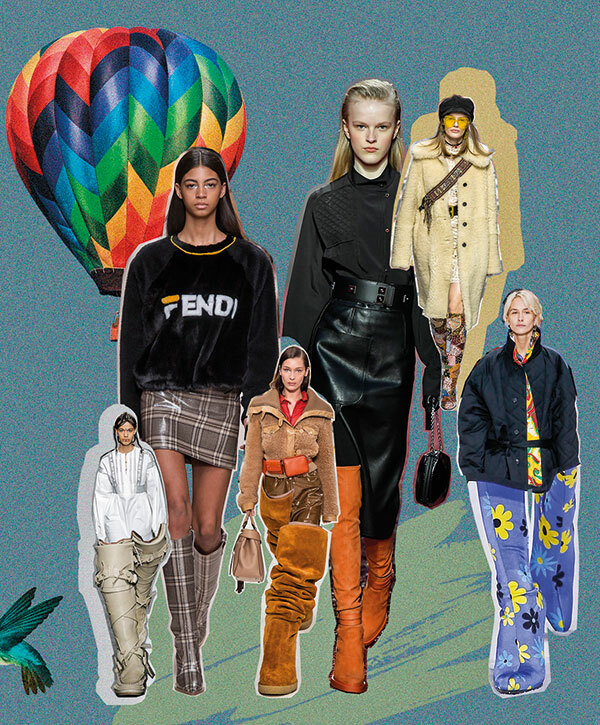 The runway saw the return of the good ol’ polo neck with an update for 2018. 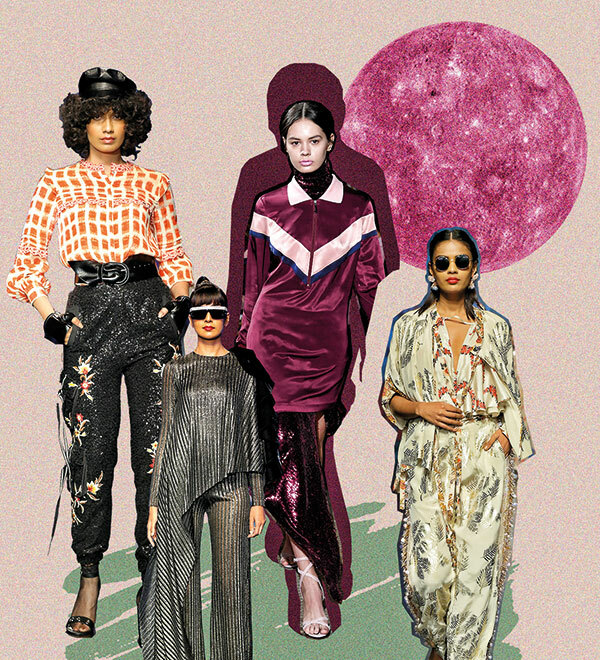 Projecting poise, adding flair to a multilayered look or playing peekaboo under sheer dresses; we’re loving it. ‘I have too much of black’, said no one ever. Whether you’re experimenting with unconventional styles or sticking to the basics, all-black numbers are a no-fail option for any occasion as they always have been. Our sartorial senses are in for a treat with this season’s sculpted suits, deconsturcted dresses, luxe textured overalls and sultry sheer separates. Timeless and effortless, this solitary colour is as striking as ever. Up your shoe game with the sassiest boots this season. Pick from a gamut such as cowboy flats, leather wellingtons, sturdy combat boots; loosely-fitted or knee-high. all these boots were clearly made for walking! Large enough to hold a full day’s (and night’s, and perhaps even a week’s) worth of things, this new crop of casual, capacious carryalls is all about utility. 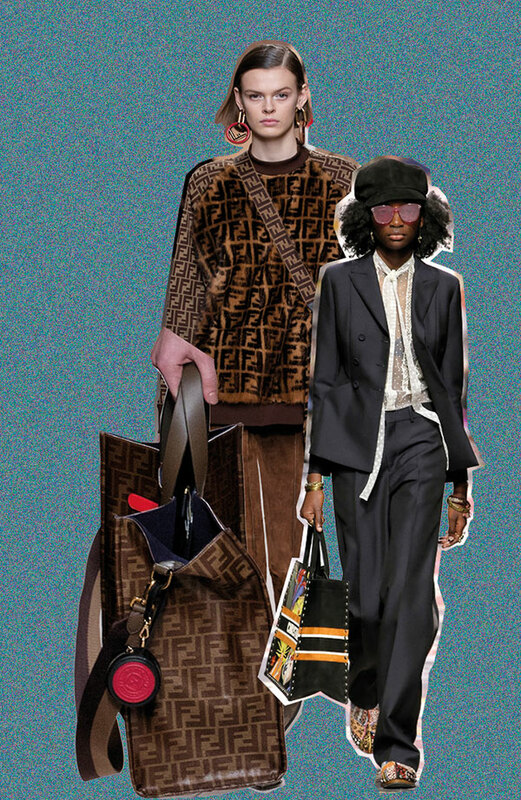 We’re loving how these XXL bags are now a permanent fixture on the runway. Hold one by the handle or team it with a nonchalant attitude and remember — bigger is mostly better this season! Back in full force, monogrammed bags are just right if you want to flaunt your brand loyalty.